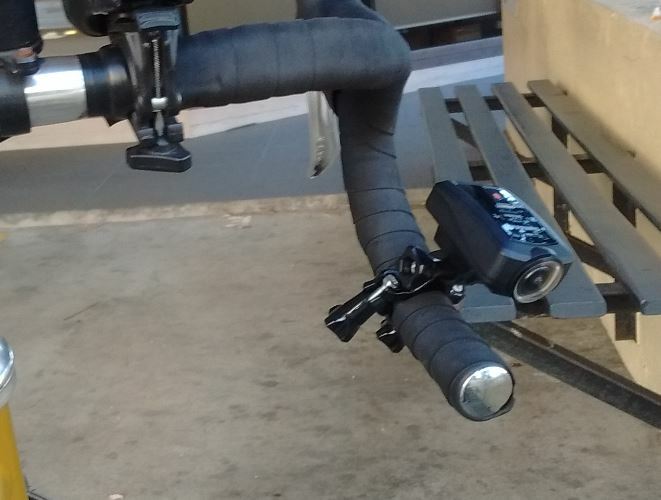 As you may have noted elsewhere in my blog, I have another camera in my bike arsenal. I’d been thinking about a front-facing camera as a counterpart to my Fly6 on the rear, and had seen the CM-1000 a few times. It looked quite good – the main attractions being it is waterproof without needing a housing, and quite low-profile. The RRP seemed to be around the $460 mark though, which seemed quite a lot, given that’s about the price of the Fly12 (the front light / camera combo from Cycliq). It also didn’t seem to have that important feature of the Fly range – the ability to automatically overwrite old files, meaning you don’t need to faff around deleting thigns to make space on the memory card. The camera itself looks smart enough, but shortly after getting it out of the box I discovered the first problem. It doesn’t come with a handlebar mount. 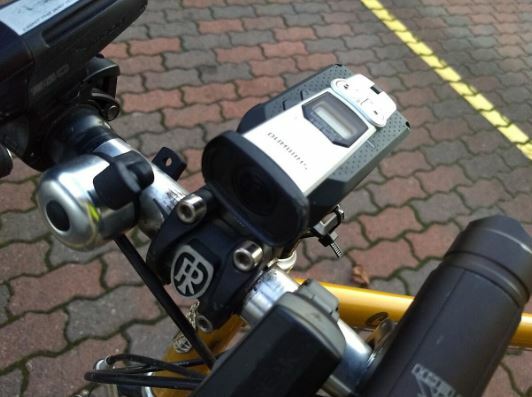 This is a camera specifically for cycling made by the worlds largest bike component manufacturer. And they don’t give you a clip to mount if on your handlebars. Unbelievable. The mounting is a GoPro style one, so there are plenty of mounts available, but it’s a strange omission – which meant I couldn’t actually use the camera until I bought a mounting for it. The camera can record at a range of resolutions, angles and frame rates, which are set via a phone app. You connect the camera to your phone via wifi, and can control the various settings, as well as downloading or deleting files and using the phone screen as a viewfinder. This should be good, but unfortunately the connectivity is extremely flaky. It just rarely successfully connects to the phone. And since I upgraded my phone to the latest version of Android, it has never worked. The only way I can now adjust the settings is to us an old android tablet I have, which seems to connect somewhat more successfully. The Google Play store is full of one-star reviews complaining about this, so it’s not just me. I’m not sure if it connects to iDevices more successfully, but for all intents and purposes the app is useless. This means the camera really can only be used as a basic camera – you can start and stop recording, and then pull the memory card out to copy and delete the videos. Bad luck if your memory card fills up during your ride – you can only delete files with the app, but it doesn’t work, especially when you need it to. Having said all that, the video quality is good. It records in full HD, and can also record at high frame rates (up to 120fps) if you want to do fancy slo-mo shots. (Although good luck getting the app to work to change these settings…). It has a wide-angle lens, and the setting include a very wide angle mode which captures a lot of your surroundings, if somewhat ‘fisheye’. The sound, however, is terrible. These types of cameras rarely have good sound, mostly picking up wind noise. 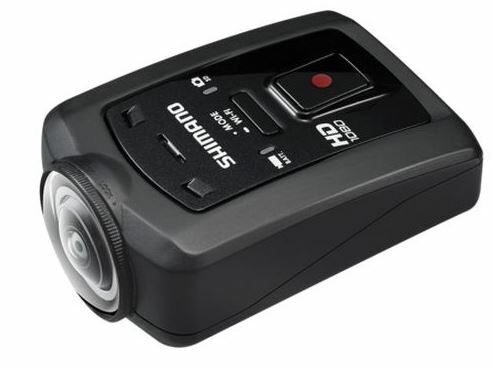 However, the CM-1000 is a slightly loose fit in the mounting (the original part, not the bit I had to buy) – which means you not only get wind noise, you get a loud rattling sound over all your videos. Here’s a sample video, taken with the camera pointing backwards on the bars. Note the car who overtakes closer than the legal one metre! What else? Oh yes, the battery life is not very good. I don’y get much more than 90 minutes of recording from a fully charged battery. So I have to charge it up every day in order to record my 45 minute each-way commute. Apparently you can connect an ANT+ sensor to it, so it can record other data along with the video, such as speed or cadence. I haven’t tried this, but apparently all this does is create a text file of data sampled every second or so whilst the camera is running. When the product was launched some years ago, Shimano promised a video editing app that would then overlay this data back onto the video, but it never eventuated. Given the last firmware update was now almost a year ago, and the current firmware clearly isn’t perfect, I wouldn’t hold your breath that the video app will ever appear. I sense Shimano are no longer actively supporting this product. So all in all, it’s not a great product. The video quality is good, and it’s nice that it’s waterproof. But everything else is hopeless. For $160, I’m quite happy with it. Had I paid over $400 for it, I’d have been sending it back. I’ve been riding my fixie for nearly ten years, pretty much every day. And, for the last few years I’ve noticed that my feet seem to slop around in the pedals rather, even with new cleats. Anyway, I finally got around to buying new pedals to replace the ones that I got with the bike all those years ago. It was only when comparing the old ones with the new ones that just how worn they were became apparent! Still not bad going for a set of basic, no-frills pedals (Shimano PD-R540, for those interested). Amazing how much of the actual metal structure of the thing has work away! So my knees have been aching slightly the last couple of weeks. Serve you right for riding a fixie, I hear you muttering, and indeed for a few days I did think about whether I was getting too old for all of that. But then I remembered the thing I always seem to forget; my knees start aching when my cleats / shoes are worn out. It’s when my feet are not secure in the pedals and roll around that I get knee issues. This thought struck me on the way to work, and as soon as I thought about it, I did realise my feet were slopping around in the pedals, and when I was climbing and pulling up on my feet the cleats were going ‘click clack click clack’ with what seemed to be an inordinate amount of play in them. So when I got to work I had a look at them. At first sight, they didn’t seem too bad; the yellow bits weren’t especially worn. 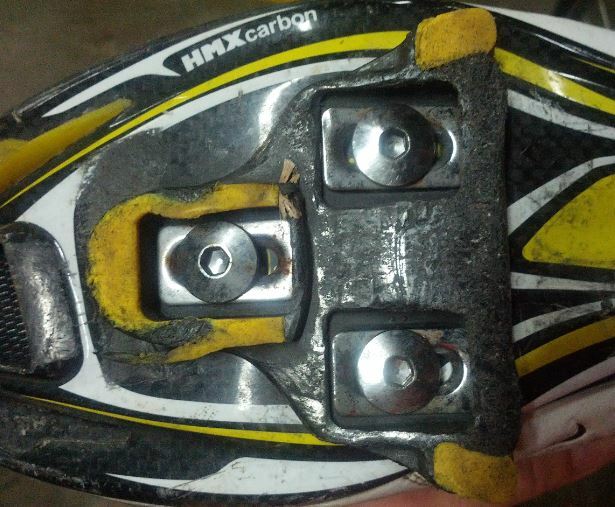 But then I realised the body of the cleat – where it contacts the pedal – was work right down to the metal (who knew they had metal in them?). I think that since I learned to trackstand and no longer have to walk up the SHB steps every day I don’t actually put my feet down very much, so those protruding bits of the cleat don’t really wear – it’s the main bit of it that is wearing out first. So I popped into the LBS to pick up a new pair. Too easy, you might think. But apparently not – there is a global shortage. No-one has them, and there’s been none for months. 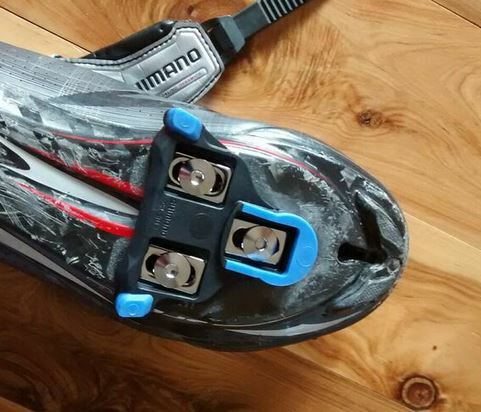 My LBS owner has resorted to buying dozens of the cheapest Shimano road shoes, just so he can sell the cleats that come with them. None online in Australia. Even Wiggle have none. I managed to turn up a pair in eBay, from a seller who bought them by mistake (he wanted the red ones). they were a good price too – little did he know that he could have charged a premium for them, given their scarcity. Anyway, I hope they come soon, as I’d like to prevent the creaky knees making me feel old..